The looted, cuneiform artifacts were seized from the collection of Steve Green, the billionaire owner of Hobby Lobby. Hundreds of ancient stolen tablets, seized from the company Hobby Lobby and returned to Iraq, provide clues about what a lost 4,000-year-old city called Irisagrig was like. Billionaire and Hobby Lobby owner Steve Green started collecting artifacts in 2009 and soon amassed a collection 40,000 strong, which he used to fill the newly created Museum of the Bible in Washington, DC. However, some of those artifacts had been smuggled illegally into the US, and last summer, officials with Immigration and Customs Enforcement (ICE) seized thousands of looted items from his collection. Those artifacts were recently returned to Iraq. They include about 450 tablets holding cuneiform text, many of which describe Irisagrig. "I had only about two and a half days to study them in the warehouse where they were temporarily stored, in fairly poor lighting conditions," Frahm told Live Science in an email. "Each individual tablet was wrapped, and it took a considerable amount of time to unwrap and number them, and then rewrap them again." Many of the tablets are fragile, "with salt incrustations covering large parts of their surfaces," Frahm said. "It seems likely that these tablets all come from the same archive, which must have fallen prey to destruction at some point in time, with the tablets falling on the ground with one side exposed [possibly] to water and the other protected." In the end, Frahm was able to review about 250 of the cuneiform tablets. And he did find that many came from the lost city. "Among the most exciting tablets from the lot inspected by me is a large document that records allocations of sustenance plots to royal dependents, and another that records food distributed to the 'dogs of the palace,' who were apparently well fed," Frahm said. Some of the tablets "record food allocations for royal envoys and other officials, and specify their missions, which include inspecting work on a canal, improving the 'royal road,'" Frahm added. The tablets seized from Hobby Lobby are far from the only tablets from Irisagrig that have appeared on the antiquities market in the past two decades. Live Science combed through the Cuneiform Digital Library Initiative's (CDLI) database, the Database of Neo-Sumerian Texts and numerous journal articles, and found tablets from Irisagrig that are now in collections in Texas, California, Illinois, New York, Australia, Japan, Canada, Israel, Lebanon, the United Kingdom, Sweden, Germany, and France, among other places. "In my view, it is certain that all tablets identified by scholars as coming from ancient Irisagrig have been looted," said Manuel Molina, a research professor with the Spanish National Research Council who has conducted research into Irisagrig. "The reason is simply because the only ones who know the location of Irisagrig are the looters of the site, who found it around 2003." A few of those tablets provide geographical information that helps narrow down the location of Irisagrig, Molina wrote in a paper published in the book From the 21st Century BC to the 21st Century AD: Proceedings of the International Conference on Neo-Sumerian Studies Held in Madrid 22-24 July 2010 (Eisenbrauns, 2013). New imagery of the site provided by DigitalGlobe suggests the looting has decreased since 2009, according to Molina, who compared the new images with his images from earlier. But even with the new imagery, archaeologists can't be sure site 1056 is Irisagrig, said Molina, who noted that there are other possible candidates for the lost city. On-the-ground archaeological work is needed to come to any conclusions, he said. Live Science contacted several of the identified owners (some remain anonymous) of the tablets mentioned in the databases in hopes of tracking down the looters to discover the location of the city and the motivations behind the looting. Ultimately, attempts to find the looters were unsuccessful. Only a few of the owners responded. For instance, Jim Falk, a professor at the University of Melbourne in Australia, pointed to his website that indicates he got his tablet from Artemis Gallery in September 2015. Before that, it was held by Harlan J. Berk Ltd., which did not respond to requests for comment. Bron Lipkin, a retired doctor and collector who owns the company Collector Antiquities, hasn't ever owned an Irisagrig tablet. But some of the owners contacted him to ask for help in deciphering the texts. "After all this time, I don't have any easy way of working out which collector had which tablet," Lipkin said, adding that he recalls some individuals had bought the tablets on eBay and that three tablets came from an Australian dealer. Documents from the US Department of Justice said the artifacts returned to Iraq were sold to Hobby Lobby from three unnamed Israeli antiquities dealers. Live Science also found that one of the largest known private collections of tablets from Irisagrig (containing more than 100 tablets) belongs to Jawad Adra, a businessman in Lebanon. He did not respond to requests for comment. 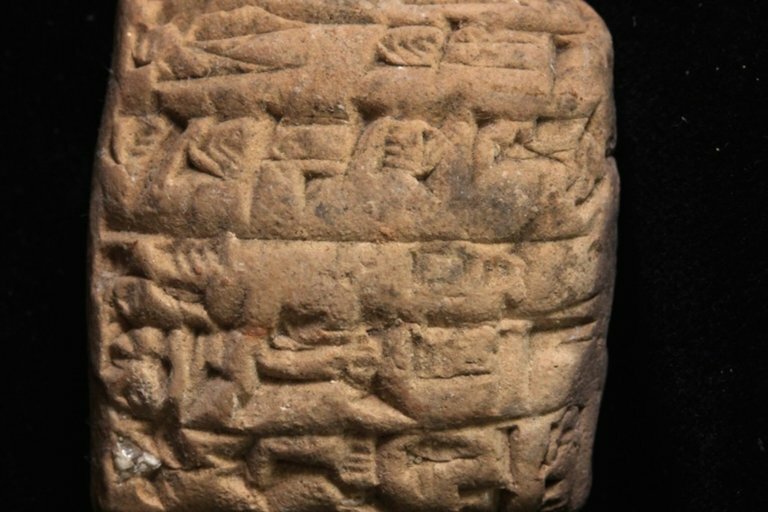 There's been a debate about whether the cuneiform tablets should be returned to Iraq before they have been studied and described in scientific journals. David Owen, a professor of Near Eastern studies at Cornell University who has published descriptions of hundreds of tablets from Irisagrig, has called for them to remain in the United States for study. "Once they enter the bowels of the Iraq Museum, it is unlikely scholars will ever have access to them, nor are there any Iraqi scholars capable of publishing them given the many thousands of unpublished texts already in storage in the museum for generations and mostly inaccessible to scholars," Owen told Live Science. Frahm said that, while "it would have been helpful if the tablets could have been more properly documented before being sent on another trans-Atlantic journey," and that conservation work is urgently needed on the tablets, he thinks Iraqi scholars will be able to get the job done. "I have faith in my Iraqi colleagues, who are aware of their responsibility not only to safeguard, but also to publish, the archaeological and epigraphic heritage of their country, and who have shown in recent years a laudable willingness to collaborate with scholars from other countries in an effort to do so in the best possible way," Frahm said. Owen, on the other hand, is not at all confident that these tablets will be published after they return to Iraq. "Who knows what new data the tablets sent to Iraq contain," he told Live Science. "But we'll never see this new evidence now thanks to the stupidity of our government."